Man, when I was in junior high, I was big time into Dungeons & Dragons. I had dozens of modules, miniatures, dice galore, and basically every book from The Dungeon Masters Guide to The Monster Manual. Although I don't recall any girls playing it, I don't remember it being a "geeks only" business either. Whatever the case, I lived and breathed D&D for a couple years. In high school and most of college, I was way too interested in... let's just say less creative endeavors. Gary Gygax and Bugbears were a distant memory. By the end of college, I guess I settled down a bit and rediscovered D&D and got to playing it again pretty regularly. I noticed it had changed a lot - now there was Forgotten Realms, Ravenloft, Spelljammer, Al-Quadim, a bunch of stuff written by a guy named Ed Greenwood, etc. It was still the same game, except now it was a bit more advanced. Well, once again I got off the D&D boat after a few years due to the demands from work and family... and haven't been back since. My wife and I just unearthed our box of character sheets, Monstrous Compendium, and the like from the attic. I'd forgotten how much damn fun it was and it really got me wondering about the status of D&D today. Is it still the same game I played 15 years ago? It's still around, and is now in it's 4th edition. It's very rules heavy (they literally made rules for every type of situation), you have to consult your character sheet before you can do anything. It's not the free form system that it used to be. What a shame. 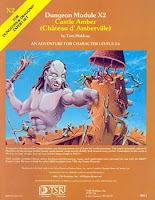 The D&D I remember had rules which enhanced the creativity - you could take a fairly simplistic module like Keep on the Borderlands and have a pretty realistic, detailed and creative campaign. You were limited only by your imagination, not a rulebook. I wonder why they've changed? We would make rules up during the play, only to make different ones next time. Ah, D&D... I played it again briefly about 8 years ago on a lark. Still fun if done right. If the rules irk you, there's always Steve Jackson Games' GURPS, which allows for a lot of customization. But the old cheesy D&D can be fun. Sometimes it's nice to know that orcs are always bad guys and every cave in the woods leads to a 10 level dungeon. I actually have never played it. My parents would never let me play it when I was growing up. They listened to what the media, church, etc. said about it. They were scared I guess that I would kill myself or sell my soul to the devil or something like that. To the despair of wives across the country...yes, yes there still is D&D. To those who think that D&D has lost its roleplaying fun I say: not at all! The rules are guidelines and should never take the place of roleplaying. If a group gets bogged down in tables and stats, then that's the group's fault. The fun is still there and you use as little of the rules as you need to accomplish your narrative, if a narrative is what you seek. 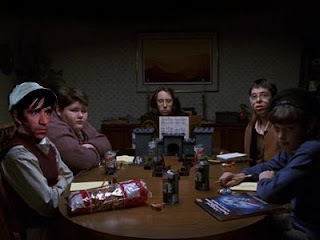 I invite everyone to play D&D 4th edition and see if they don't have a blast. If the game isn't fun, then maybe you're playing in the wrong group, have different expectations, or just need to examine your playing style and see what fits. I've been playing D&D since '84 and I enjoy 4th edition more than any other except for the original red book set. You get out what you put in . . .